According to the Chinese, there are 7 necessities to daily life: firewood (柴 chái), rice (米 mĭ), oil (油 yóu), salt (鹽yán), sauce (醬 jiàng), vinegar (醋 cù), tea (茶 chá). Tea, not water, was listed as one of the essentials. Surprisingly, tea doesn't trend in the media the way coffee or wine does out in Asia, where the plant is native. But in certain parts of America, especially New York and San Francisco, tea is being realized as a product with a lot of complexity. Considerations like terroir, aroma, oxidation, astringency, processing, and other geeky things about tea are becoming increasingly popular. For example, 3-Michelin starred restaurant Eleven Madison Park in New York City has a tea sommelier who presents a tea-pairing menu. London, arguably the only Western city which tea is deeply integrated into the culture, has a number of restaurants that are paying more attention to elaborate tea services as well. Notably in Singapore, one-Michelin starred American Steakhouse restaurant, CUT, offers a range of 22 types of tea, 12 of which are Chinese. Two-Michelin starred restaurant, Odette, offers a carefully curated selection of teas from various parts of China, Taiwan, and Japan to accompany Chef Julian Royer's exquisite modern French menu. I sought further tea advice from my longtime friend, Mr. Kenny Leong of Teatle-Tattle.com—he happens to be the tea expert who consulted on Odette's tea pairing menu. He served us an elegant fenghuang dancong tea from Chaozhou in a richly colored bowl-like vessel. 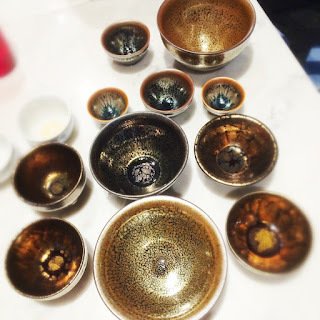 It was only at the end of our tea session that he revealed that the glazed vessel I was drinking from was a tenmoku, a rare type of Jian ware ceramics that were favored by the ancient Song dynasty emperors. They're prized and extremely valuable, whereupon I stopped touching it immediately. The tea plant is assumed to be indigenous to southwest China, and consumption began as early as the second century, where archaeologists have found a jar of tea leaves in a Han Dynasty tomb. The earliest reference to tea-drinking was first found in Sanguozhi (Romance of the Three Kingdoms) from 264 AD, but it wasn't until the Tang Dynasty that the tea ceremony was formalized. Consumed by monks to stay mentally alert during meditation, tea was appreciated for its stimulant and medicinal properties. During this dynasty, Lu Yu, a fellow known as the "Sage of Tea", wrote Cha Jing (The Classic of Tea)—scriptures remarking on the importance of water quality and other measures of tea making—consequently creating the first official compendium of the cultural pursuit. Later, during the Song Dynasty, tea became an artistic and luxury activity, especially among scholars, nobility, and the wealthy. Tea enjoyed its golden age in China during this period, and was being exported to other countries such as Korea and Japan. Buddhist monks who came to study in China, brought the practice of whisking tea back to Japan, where it has evolved and is very much part of the Japanese tea tradition today. Through trade on the Silk Road, tea also spread to Arab countries and Africa. Tea eventually became accessible to the common people of China during the Ming and Qing period, when tea was recognized as a necessity and thus no longer taxable by the governing houses. 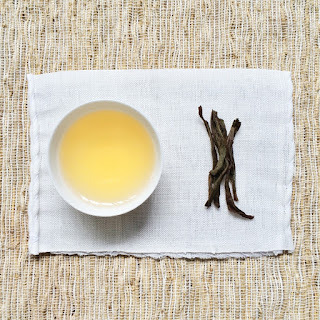 Ultimately, loose-leaf steeped tea (baocha) replaced traditional tea bricks that were previously whipped (mocha) during preparation—leading us to the form of tea we’re most familiar with today. "The European development of tea in the last 500 years began with the Portuguese queen," reveals Leong. "Ironically, it was Queen Catherine of Braganza, wife of King Charles II, who introduced the English aristocracy to her tea drinking custom of having it served with her meals and snacks. However, as popular as afternoon tea has become since, Leong wryly opposes British methods of steeping. "Usually Chinese teas are quick infusions. Whereas the English brew it with a large pot and a lot of water for a few minutes, which is not the best way... and perhaps why they add milk and sugar to their tea!" 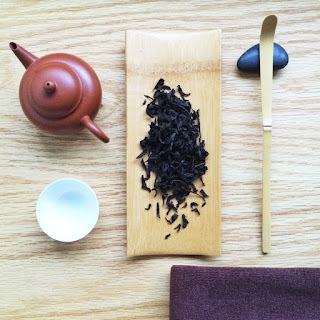 As a tea classicist, Leong prefers unblended teas that are not augmented with other things such as flowers or citrus fruits, "It takes away from the chaste enjoyment of tea; just how you wouldn't add Coca Cola to your wine." An unblended tea is typically a single variety of tea. Every country has its own premium tea varieties, and it's subjective to experts on which is the finest amongst the first flush (first harvest), where the highest grade of tea are plucked in early Spring. Arguably, one of the most difficult teas to make are Oolongs, specifically cliff tea varieties. There's an intricate process of fermenting and oxidizing the leaves, and if not done carefully, an entire season's harvest could be spoiled. 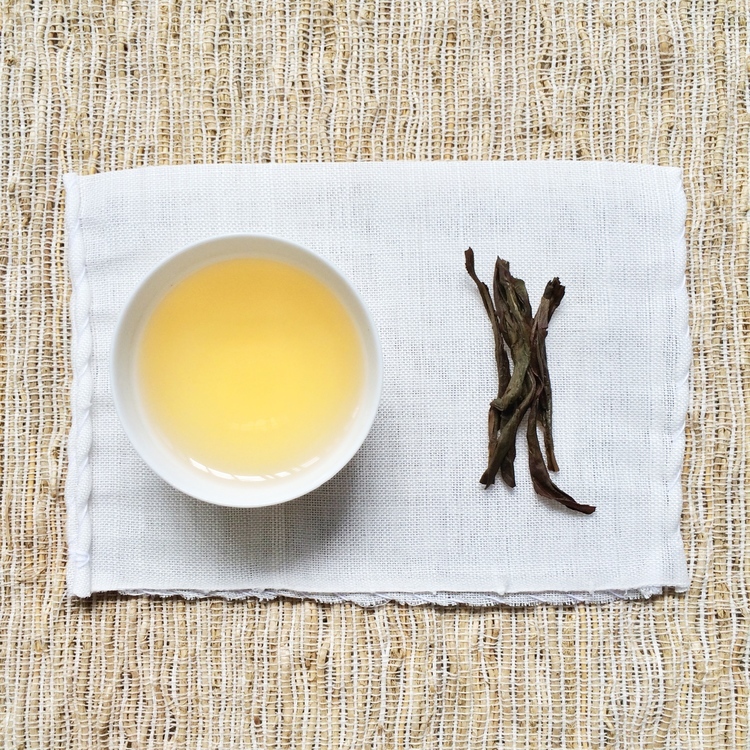 Oolongs typically require more work than a green or white tea. It’s as pretentious as wine tasting, but not as pompous in practice (at least for now). Perhaps owing to its intriguing ancient history, complexity, variety, and nutritional properties. There are different schools of thought on how to 'taste' tea, but the simplest is a sensorial approach. Color: Good tea should have clarity. The liquor should appear bright and have a certain lively vibrancy. It shouldn't look dull. Aroma: Look for aromas that are typical of the tea that you're drinking. For example, the fenghuang dancong Mr. Leong and I are drinking this afternoon should and does have notes of apricots, peaches, tropical fruits, and flowers. Taste: Tea should be faithful to its variety. A pu-erh should taste like pu-erh. If it doesn't taste like anything (dull, astringent, tannic, bitter), it's probably best to throw it out. Aging makes the tea softer and mellower, lending a matured character to the taste and aroma. Pu-erh is popular for aging, as young pu-erh can be tannic and astringent, but after ten years, it ripens like a fruit. “The taste becomes dark and soft, that’s why it is consumed with dim sum,” explains Leong. Doth ice in tea offend tea purists? How about iced tea—is it blasphemy? No, it isn’t, and thank goodness. There are ways to cold steep teas. Particularly in tropical countries or in summer, you can find good quality oolongs or green teas and brew it cold. The night before you serve cold tea, put the leaves in a glass decanter with room temperature water—both Leong and I have an appreciation for Volvic water, because of its soft texture and lack of harsh mineral character. Then cover the decanter with cling wrap and let it steep overnight or at least 8 hours.